A young, transitional Italian side will take on Greece in the UEFA Euro 2020 qualifying stages. AGONAsport takes a closer look at the former world champions. It’s been a forgettable couple of years for Italian football. Last year, Italy failed to qualify for the FIFA World Cup for the first time since 1958, losing out to Sweden in the qualification playoffs with former AEK midfielder Jakob Johansson scoring the winner. To put it lightly, the defeat was regarded as a tragedy in the country, especially given that Italy won the World Cup just 12 years ago in Germany. The gradual decline of the Italian game over the past few seasons has been clear for all to see and the national team simply doesn’t boast stars like Andrea Pirlo, Alessandro Del Piero or Francesco Totti anymore. Under new manager Roberto Mancini, Italy didn’t make a great impression in the UEFA Nations League, finishing in second place of Group 3 in League A after claiming one victory, two draws and one defeat against Portugal and Poland. The Italians couldn’t even win a home match in the tournament and faced heavy criticism after such a poor performance. Nevertheless, considering the major squad overhaul which is gradually ongoing, the average results should probably have been expected. While keeping leaders Giorgio Chiellini, Leonardo Bonucci and Marco Verratti in the team, Mancini is slowly introducing promising youngsters into the side, and he will be hoping they fire Italy to Euro 2020 in confident fashion. It’s hard to imagine that such a great, glory covered footballing nation will stay dwelling in the doldrums for too much longer. 54-year old Roberto Mancini received the role as Azzurri manager in May 2018 and is attempting to dramatically turn around the team’s fortunes. As a coach, Mancini is best known for his success with English giants Manchester City, where he claimed the 2011/2012 Premier League title in thrilling circumstances. In his native Italy, Mancini starred at Inter Milan, winning three successive Serie A titles between 2006 and 2008. He also won the Coppa Italia four times with Fiorentina (2001), Lazio (2004) and Inter (2005, 2006), the FA Cup at Manchester City (2011) and the Turkish Cup with Galatasaray (2014). Mancini managed Zenit Saint Petersburg in the 2017/2018 season. Back in his playing days, Mancini was a senior Italian international, making 36 appearances for his country and scoring four goals. He played in over 400 matches with Sampdoria. Giorgio Chiellini may be 34 years of age, but he’s still one of Europe’s best centre-backs with his committed, passionate play on the field. With 13 years at Juventus under his belt, Chiellini certainly knows his way around the block, able to outmuscle opposing forwards with good effect and pull off crucial challenges at the perfect time. It always takes something special to fool Chiellini and the Greek forwards won’t have it their own way against him. The legendary Gianluigi Buffon doesn’t compete at international level anymore, however Italy now have the talented Gianluigi Donnarumma guarding their net. 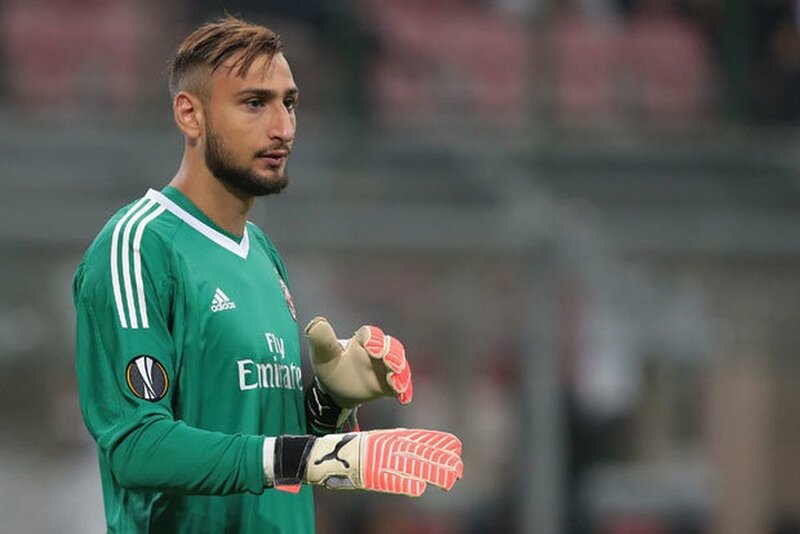 Still a teenager at 19, Donnarumma is the number one at AC Milan, and he’s has turned into the starting goalkeeper for the Italian national team. However, despite his potential, there have been loud calls for Donnarumma to be dropped after several blunders with Milan. His inconsistency is a problem, but taking his age into account, he needs to be given time. Paris Saint Germain midfielder Marco Verratti keeps the team ticking in the middle of the park. Italy miss Pirlo in midfield, but Verratti does compensate for at least a chunk of that loss with his brilliant passing range, ball control and intelligence. His cunning passes can unlock any defence, and when required, he can also play in a more defensive position. The 26-year old works hard and is naturally gifted. The last time when Greece and Italy met in a competitive fixture was in the 1982 FIFA World Cup qualifiers. In Athens, the Italians registered a 2:0 victory, but the match at home finished level at 1:1. Overall, these two countries have played each other on 17 occasions, with Greece winning two games, drawing five and losing 10. On November 19, 2008, the Greeks hosted Italy at the Karaiskakis Stadium in Piraeus, tying the friendly 1:1. Theofanis Gekas and Luca Toni scored the goals.